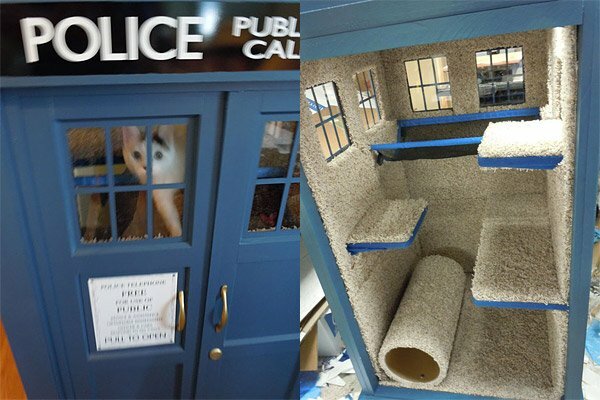 TARDIS Cat Fortress: Whiskers are Cool! The doctor gets a lot of tail in his TARDIS. I don’t mean that he picks up cute girls and takes advantage of them within the TARDIS itself. I mean, the relationships are all platonic, he just gets a lot of tail coming through those TARDIS doors. And this TARDIS is no different. Meow. Of course in this version of the show, the Doctor is a fat cat with a thick coat and the girls he brings into this TARDIS like to climb all over the place, mark it with their scent and scratch at everything. 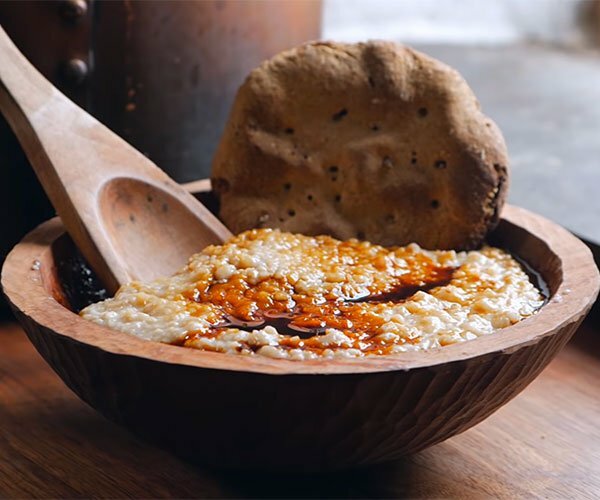 This creation is the work of Astromark. 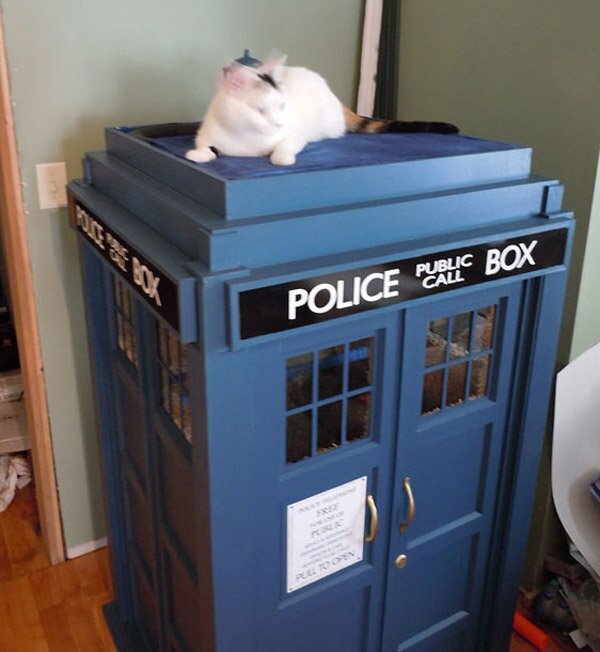 It’s a half-scale TARDIS made just for his kitty, Kaylee. The detail on the outside is amazing and judging by how awesome the inside looks, I’m sure cats love it. Check out the whole building process over at TARDIS Builder.